A few weeks ago, I posted a question about an internal transfer and if I had a legal basis to some degree demand my move. It was obvious from the many replies that I was dead wrong and I should count the reasons why… I understand. Now, here is my new question. I was informed of my interview time and date and I’m the very first interviewee of about 50. Would you think this order is an indication of good or bad news? Typically, I try to interview the applicant I’m most interested the very last time available to be able to give an offer on the spot with everyone else out of the way… What do you think? Also, I have more personal reasons why I want to move. Should I explain these or stick to the what my move can do for the company? First I have my own question! 50 interviews is a ton. It’s an insane number of people to interview for a job. What on earth are they thinking? While you shouldn’t make your personal reasons for wanting to move the focus on the interview, you should definitely mention them — because if you’re a great employee and they know you really want to move back, they may factor that in because they care about retaining you in the long term. I have argued with a few friends and my husband about this issue and it was a hot-button topic on talk radio here the other day. The head coach at the University of Wisconsin quit last week. The athletic director, Barry Alvarez, who was at one time both head coach and athletic director, agreed to coach the team for the Rose Bowl game. Have I been in the wrong industries? I have never worked in a situation where the manager picked up the subordinate’s pay after the subordinate quit. Is this common? Or does this happen only when your regular salary is over a million dollars a year? No, this is definitely not common outside of sports. The sports industry seems to play by its own rules when it comes to stuff like this. 3. What did this confusing interview mean? I went to this interview about 3 days ago, and I can safely say it was one of the stranger interviews I have had. The company is well established, and doing quite well financially. But when I went to the interview, it seemed one of the interviewers had not even read my resume and looked totally bored. The other — who was the senior manager — seemed to have gone over my resume in detail. But most of the interview consisted of them telling me about the job, and the only questions they had were on how I felt about negative aspects of the job (I said I had no problems and substantiated my answers with examples from past jobs). Here is the confusing part. The interviewers left the room and the senior manager came in after 5 minutes and told me he felt I did well in the interview and that he had no reason not to hire me. But he also said they had several other people to interview, and he emphasized that last point it seems. I began to say that it is understandable that they will hire the best person, but the manager stopped me from finishing. So what do I make of all this ? Did I fail to impress ? Also, should I be concerned that I didn’t hear back at all ? They did say I would have to come in at least two more times this week but I havent heard anything so far. Don’t read anything into it. They told you that you did well, so you should take that at face value and assume you did well, and they told you that they’re still interviewing others, which you should also take at face value and expect that they’re interviewing others. The fact that you haven’t heard from them by the time they said you would isn’t terribly concerning — hiring nearly always takes longer than the people involved with it think it will take — but it gives you a reason to follow up with them and ask for a sense of their timeline for next steps. 4. Will this employer forget about me? I have been doing a series of interviews with Company A (1 phone, 2 in-person). The latest interview was with the director of the department the position is under, but she isn’t the person I’d report to if hired. At the very beginning of the interview, she mentioned that there will be another round, and I’ll know if I’ve been shortlisted to move forward by Monday (interview was on Friday). It’s Tuesday now, I haven’t heard anything, should I be worried? I already sent the HR manager and the Director separate thank you emails on Saturday, so they’d get it on Monday. Should I send the HR manager a followup email? Normally I wouldn’t worry unless it’s more than a week, but this time she specially said I’d hear back by Monday regardless. The HR manager has always been very punctual the past few times that she had to follow up with me. So this seems a little out of the ordinary. Also it’s less than a week away from Christmas, I’m afraid if I don’t act now, they might forget about me, and just hire someone else. Is that a reasonable assumption? See the answer to #3 above. It’s very, very common in hiring for next steps to take longer than an employer tells you. But you can email a follow-up inquiring about their timeline for next steps. However, no, they will not forget about you if they’re interested in you. People do not forget candidates who they’re seriously interested in hiring. I was told that my interview will only be about 30 minutes or so. I’m wondering why this would be? I’m going for a managing editor of a state bar journal position, so I was thinking they might give me a copy editing test. I’ll be prepared for that, but I just thought, as a hiring manager, what you think this could mean. It either means that it’s a first-round interview and there will be more in-depth conversations later, or it means that they’re not very good at hiring (since you should never hire someone after only a 30-minute conversation)! 6. Did I just throw a grenade? While digging around on a few of my soon-to-be-former company’s servers over the years, I’ve found that there’s quite a lot of sensitive information publicly available and not password protected. This includes things like salary information, performance reviews, raise recommendations, disciplinary and termination letters, executives’ email archives, and financial information related to a recent acquisition. It’s mostly a bit buried, but also not terribly hard to stumble across if you’re not quite sure where the thing you are looking for is located. It seems to be mostly a failure of some individuals to understand that everything on a public server is public unless it’s password protected, not an IT failure. I never told anyone about it because I didn’t want it coming back to me if the people who mishandled these things got in trouble for it. But I had my exit interview the other day, and I figured, well, why not say something now? So my question is: how big of a grenade did I just throw? I’ll be out of there after next week, so I probably won’t get to see the fallout, but after all of the garbage they’ve put me through over the years, I wouldn’t mind knowing that a few heads might roll. The HR rep seemed pretty calm and noncommittal about it when I told her, but I guess that’s how they’re supposed to be. Not that big of a grenade. They’re likely to just fix the problem. I would have just alerted them the first time you discovered it, not waited until you were leaving. It’s certainly a mistake, and an embarrassing one, but I doubt anyone is going to get fired over it. I own and run a small company with 3 employees and I find I clash with one of them, my Administration person. She does a good job with some tasks but she’s not organised, makes quite a few errors and doesn’t like processes (by nature). Once when we talked about her scheduling tasks in her Calendar (because she forgets things) she commented that she didn’t like using Calendar because she felt that it would run her life, or it’s too regimented). She cares about the business and her strengths are probably showing initiative and diving into new tasks. Because the business is small she also has to do quite a range of tasks (e.g. packing orders and making up samples for despatch) which she is happy to do. I’ve tried to teach her to be more prcoess orientated but I often feel there’s resistance and she’s not very good at communicating and when I tell her to document things in the manual (or do other things) ½ the time she doesn’t do it and I have to check. I find her very difficult to work with at times and it’s affecting my performance at work. Do you have any advice? Um, manage her? Tell her what you need her to do differently and why, give her a timeline for fixing it, and hold her accountable to meeting your expectations. If she doesn’t, then you need to replace her with someone who can meet the bar you’ve laid out. You can’t really have an administration person who isn’t organized and doesn’t like processes. So be clear with her about what you need, and be prepared to replace her if she continues not to provide it. This is your business. You can’t afford to have someone, let alone one-third of your staff, not performing their job well. #7: uh, fire her? With all the excellent people who are out of work right now you could do so much better. and for #6, sorry, but I’m sure not much will happen unless they are under special rules such as Safe Harbor or the like. I found some stuff poking around on a server and notified IT at the time I found it and they just locked the info down, as they should. #5: They may have already made a decision (either for or against you) based on other information as well. 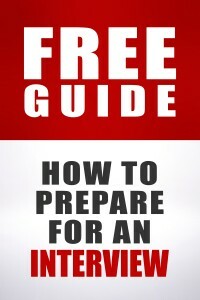 But be fully prepared. You can still go into an already decided interview and come out with a job (if you weren’t their pick) or without one (if you were). Most likely though it is a first round and you could ask about the process. #6: By not speaking up about this sooner you continued to allow the information to be public and available and add to the problem. Not speaking up immediately was wrong. Next time you find something you think is a problem don’t tuck it away and hope that some how you can use it as ammunition. Fix the problem. I feel like I must be missing something on this question. #6 – It sounds like this person knows that heads-roll when problems are found. Most likely the person who finds the problem ends up being the one that gets blamed for it. Possibly. It could also be a person who is high-drama and tends to blow problems way out of proportion. I’ve seen both types of circumstances and from the letter I can see it being either or both. Yeah, I’d be more inclined to think she’s blowing it out of proportion, simply because if her office is the way Lisa describes, I’d assume she’d mention it (since that’s unusual). In regards to your unnecessarily snarky comment about #6, I believe that you’re a bit off the mark. And, the OP fully plans to mention the situation during his/her exit interview without the goal of benefiting from it. Basically, you are falsely attributing malice where there is none. I wasn’t trying to be snarky. I do feel like something is missing. Because if the OP doesn’t mention it when they see it that is not an appropriate way to handle that. So maybe there is a really bad workplace but #6 doesn’t mention that and instead refers to a piece of information as a grenade. I discovered that a large amount of private data is accessibly to anyone within the company what should I do? I can’t imagine anyone saying, wait until you leave the company to speak up about it. #6 also explicitly said s/he “wouldn’t mind knowing that a few heads might roll,” and since it’s in a situation where it would be surprising if heads rolled, that sounded oddly hopeful about excessively bad things happening. Nice catch – I didn’t pick up on that at all the first time and was reading it as if the OP was chagrined that someone might be in trouble. I’ve also never heard of a company doing an exit interview a week before the exit. I’ve only seen them done (when done) on the last day. Is that common, doing them so early? As it does sound oddly hopeful I would caution the OP to rethink that mindset – shadenfreude isn’t nice. Wow! I have my own question, where did they get 50 applicants qualified for a Director level position? When I applied for my job there were only four of us who made the interview stage. I understand anonymity – but my curiosity is so peaked as to what industry this is! I’m not sure I buy this. Wait, I am sure I don’t;t buy this. I cannot think of any circumstances under which an executive director level position would have 50 in-person interviewees. Doesn’t pass the logic test. Unless this is what we sort of suspected in the original post and “Executive Director” does not mean what we expect it would mean. That’s the only way I can see 50, and even then… I mean narrow it down a bit? I’m actually wondering now if it was a typo and he meant to write 5 rather than 50! OP, can you clear it up for us? For #1, going first is the best! There’s a phenomenon in psychology called “the primacy effect”, wherein people are more likely to remember the first words in a series, or the first items on a shopping list, or the first people they meet, etc. This also works for going last as well (the latency effect). When interviewing for a postition, I always try to either schedule myself to be one of the first people or one of the last people. I wouldn’t read into it in terms of “Oh my god they must love me the most!”, but I would see it as a positive in that you are going to make the first impression on them in a long series of candidates, and as such, should get ready to wow them with your excellent skills (right?). I am totally stuck on how do you keep 50 interviewees straight. Not being flip, but unless you were taking a Polaroid of each and stapling it to their resume – as if they were applying to be on Survivor – I have no idea how you’d remember who was who. I am so glad I’m not on that interview committee. I’d take the five best resumes, interview those people, and ask the others to let me know how the other 45 shake out. This sounds so shady, like, Cutco knives shady. 50 people for a director-level? Ha! I think it was when a high school boyfriend got a “job” selling Cutco that I knew our relationship was over. This whole process does seem weird to me (not Cutco weird maybe, but weird). My company tries to keep good performers and high level people happy and they are the first choices for new high-level positions at other locations. It’s easier to work with internal candidates who know our systems, esp. when the OP has the same job in another location. The only thing I might think is that the company thinks she’s overqualified by already having held that position and might be ready to move up (and/or on) too soon. I’d be creeped out if an interviewer wanted to photograph me, even if they explained. It’s just too closely associated with things that hiring should have nothing to do with. I’d refuse and withdraw my candidacy immediately. It’s too far outside of professional norms for any explanation to placate me. Actually I think it depends. Military officer recruiters snap a Polaroid if you get to day 3 of the second interview (about when you become a serious contender). They also video the second in person interview, keep logs of all the testing scenarios, retain your planning exercise and make extremely detailed notes throughout. Ah, but the military has many different customs that people there are used to (and accepts far more that non-military folks would find invasions of privacy). Sorry to rain on your theory, but I’m not sure this applies to situations where you’re making an evaluation like interviewing. I know I remember the best candidate the best, the top few really well, and the others, well it gets hazy. Order has nothing to do with it, quality does. It’s not a theory, they’re both proven psychological phenomena. I don’t think that’s really a factor with good interviewers, though. I’m with Joey on this — I remember candidates for being great, good, bad, or not right, not based on order of interviewing. But we are only as good as our brain’s systems. So things like making useful notes and referring to them later is going to be farm more accurate than saying, I know I remember the good ones. If you always have one candidate heads and shoulders above it likely isn’t a big deal but if you are close? Notes can be really helpful. Our memories are really horrible after all. Absolutely! I don’t think either of were saying we don’t use notes — I certainly do and would assume Joey does too. We’re talking only about whether the order the interviews happen in has any influence. I’ll use your grocery example. Of course it’s easier to memorize the first few or last items on a list. And if you asked me who i was interviewing your effect would apply. But when you interview you’re not checking off items on a list. You’re evaluating all of your options, some better than others. And after you evaluate you tend to remember based on preference, not on the order you evaluated. It’s like buying a house. You remember your favorite ones the most, not the first or last one you saw. The house analogy is really apt. The mediocre ones all blur together but the ones you loved and the ones so bad you can’t believe you wasted your time looking are the ones that you tend to remember. My sister does some hiring and she mentally sorts people into “yes”, “maybe”, and “no effing way”. Primacy is paired with recency, though–first and last are both advantageous. I was going to jump in and post this, but the OP did make a mention of “latency effect”, which I’m assuming is another phrase for recency. # 7 – You can either provide your admin with training, or a find a new admin. Check out The International Association of Administrative Professionals (www.iaap-hq.org) and see if there is a local chapter near you. Have your admin attend a couple of meetings, and encourage her to join (by paying for it out of your training money, or your slush fund). If you offer your admin some professional training (which IAAP can provide), you have a good change of having a real professional in your office. If she won’t go/isn’t interested, contact the chapter and ask if they have any members who are looking for a new job. For someone who isn’t inherently organized and doesn’t like processes, I wouldn’t recommend going in this direction — you want someone who fits the role naturally. It might make sense to give training if someone had the natural talents and inclinations, but that doesn’t sound like the case here. I worked with a couple of people who found processes stifling. I never understood that, as I explained to them that by following the processes for the mechanized tasks you can do them as efficiently as possible which leaves a lot more time for the creative part of the job – which they claimed to enjoy. But there is no room for creativity in running an AR batch or filing – so why try to reinvent the wheel increasing the risk of error? I don’t get it. There are few things more elegant than an efficient and well documented process. There are just some “free spirits” who have a lot of their identity vested in avoiding regimentation and the like, sometimes to the point of ridiculousness. Kinda like people who simply refuse to apply for any job that requires a suit, even if they would love the work, because wearing a suit “isn’t them” and they feel it means giving up who they are for money. And the fact is, if someone has made such preferences part of a core identity about how they see themselves as a person, you’ll play merry hell getting them to change that. Core identities are a hill a lot of people are willing to die on. How would they “love the work”, if one of the major requirements of that work was to select, purchase, and maintain suits and then to wear said suits during their working day and they do not like doing this? What does “process” even mean in this context? I can only think of it as, some work task that is done regularly (like processing reimbursement paperwork that you receive on a regular basis, like the “packing up orders” example the LW gave) where there’s a right way and a wrong way to do it. And the right way to do it is the “process.” Am I not understanding it correctly? I can’t speak for the OP – but in my case I have a pretty good example of someone refusing to use a process. Running an AR batch in our system is where you verify what was shipped (via packing lists), check against sales orders, and pull by invoice into a batch – then update. It’s something you do exactly the same every time – beautiful documentation – after two weeks you should be able to do it in your sleep. But not when it’s boring sorting them by invoice number every day (even though it’s how they are ordered in the system) so some days she could do it by customer name. Or regions of the country. Or amounts highest to lowest. This leaves all kind of room for error that isn’t there when you do it by invoice number since you’re pulling them in order. When the answer is that it’s boring doing it the same way each time, so this is her way of making it fun and interesting for herself…how do you reply to that? And how is that fun? And that’s just one example from my experience where there is a perfectly good procedure that works…but if someone refuses to use it what should take 20 minutes, tops, ends up taking a lot longer and batches have to be voided/rerun, etc. At that point it’s like a kid running with the proverbial scissors. I took away the scissors and told her boss she needed to batch safely or not at all. You’d think since it was a boring task, she’d want to do it in the quickest most efficient way possible so she could just get it over with. Sorting properly to get the job done quickly and accurately…don’t get me started…last place I worked, the written process was to sort all the variable names alphabetically. The problem was, what we were comparing them too was not alphabetical, and it made my job 100x harder and more prone to error, just because someone with no clue had written a process to sort in one way instead of another way (creation order would have matched the document). Most of the people doing the comparison work had no idea the variables could be sorted to match the other document. So they just accepted the process at face value while thinking it was torture but there was no other way to tackle it to make it less torture, but it drove me insane because I knew how easy it *should* have been to do! Heck, I am going insane just remembering it! My experience with some processes is that they have been made about as inefficient as possible. I am an efficient person, and this drives me nuts. I was in one place where even the documents were totally inefficient just to read through. Think 27 pages of screen shots for a relatively simple task. Then there was the 26 column spreadsheet. I just wanted to bludgeon myself to death with my keyboard. This may be why some people cringe at the thought of processes. 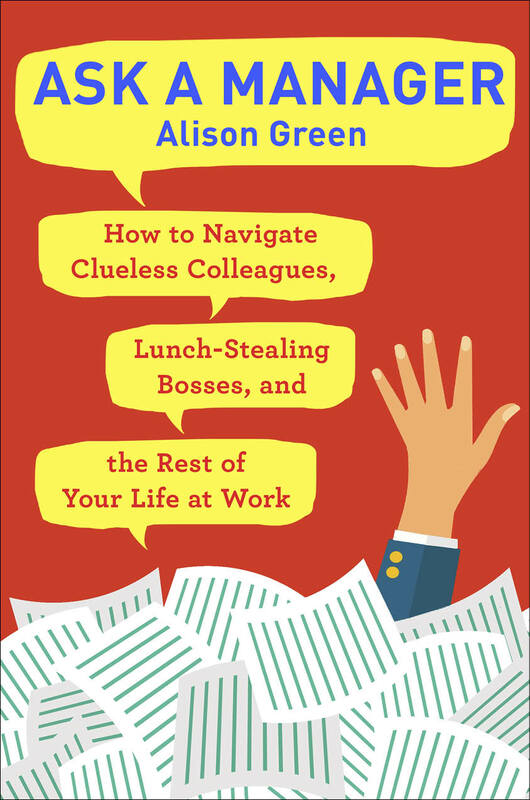 Not all workplaces or departments are so good at thinking them out and writing them down and some are even created by people who don’t actually do the tasks and may have never done the tasks. Ugh – that kind of thing is what gives processes a bad name. Done well they are invaluable – but don’t poorly…let’s just say I’m surprised there isn’t more self inflicted keyboard bludgeoning deaths. One of my favourite spreadsheets ever had somewhere around 60 columns in total. In its defense, it had over a throusand rows, and it worked very well for its intended purpose. I started a new job in November, and am struggling with process documentation that contains far too many screenshots (outdated, fo course, so the screens don’t actually match) and is missing steps in every single process I have had to deal with so far. This! Some people are not meant to be admins. And if she doesn’t like the feeling of being regimented by her calendar, I would say she is one of them. Thank you for getting what I was saying. If the assistant isn’t interested in this kind of work, she should find another job. And the employer can find someone who does like this kind of work. Exactly–why would you want an admin who’s not structured and organized? Not only is she hurting you, but she’s hurting your other two employees, too. A great admin makes everyone else more productive and helps the day run more smoothly. They probably spend too much time either doing tasks that they can’t trust her to complete (even if they should be part of her job), or fixing her mistakes. That’s all killing morale, too. Get a better person in that job and you’ll see the entire office be much more productive. I’ll take Alison’s advice; be clearer about the outcomes that I expect (and that are not negotiable) . I need to be more pro-active and make time to deal with this and make sure I follow up and don’t let it slide. I never knew there was such an organization. Is it truly useful or is it like those admin certificate programs you hear so much about? I just can’t fathom formal professional training for an admin position. It’s usually on the job skills they’ve compiled or on the job training with my admin staff. The VP’s secretary at my old job was the president of the local association. I know she was an excellent admin and she considered her membership in the group to be important – for whatever that’s worth. I thought it was more like the IIA for internal auditors or SHRM for HR…a professional organization. See and that’s what I’m wondering. Does anyone put any value on that kind of training in they way they do for PHR or IIA? Ive never seen a job ad that asked for it or a manager who’s wanted it. Yeah, I don’t and I haven’t. Especially because there are great admins with no specialized training and terrible admins who do have it. I don’t think admin training is recognized by employers, but it’s something you do for yourself. Say you want to return to the workforce after staying home for a few years, taking admin training can help you brush up on your Excel skills, or email etiquette, or things like filing systems. I earned 2 professional certifications while I was a member of IAAP (CPS – Certified Professional Secretary, and CAP – Certified Administrative Professional). I paid more than $200 for each to sit for the exams. Fewer than 2/3 of the people passed the exams. They were 2 day-long sessions (at that time), and most applicants studied for at least 6 months before the tests. I had to take the Finance & Accounting exam twice, because that’s just not my strong suit. There were some employers who knew what they were all about, and a few who would only hire admins with these certifications to work for the executives. There are a lot of other certifications that you can just send in money for, and there are lots of training programs that can be very useful, although kind of pricey. This is the difference between an office worker and an Administrative Professional. #6 – I think you need to be careful there. Unless there is a *legal* requirement to protect the information in question (eg. medical records, classified info etc) you did the wrong thing by looking at it *regardless* of the operating system permissions. The same way in many offices people don’t lock their office doors (because you expect your coworkers not to runsack your office regardless of its accessibility – insane lunch stealers of AaM fame excepted), people don’t protect their files because they expect their coworkers not to snoop regardless if their filesystem permissions. So you are making a statement equivalent to “Hey I went into your office last night and saw you had Joe’s staff assessment report on your desk”. While it probably should not have been lying around on the desk, the correct thing to do is deliberately fail to notice it. wasn’t the point that the PUBLIC could access the data? Not that it was unsecured internally. I read as unsecured internally. But if it was actually PUBLIC and wasn’t supposed to be then the poster really should have brought that up immediately. I agree with you, and I went back and read the letter and it seems “publically” meant internally public, in which case that’s an even bigger yawn. I read it as it was unsecured internally as well – not public at large. I’m pretty stringent on security and I am a big fan of password protection – but I don’t monitor files on the shared drives for protections. Our managers are trained in what needs to be secured and are expected to adhere to that – but I am not running around policing files as IT. I really can’t see this blowing up into anything – probably just a reminder to managers to secure their stuff better. I was going to write the same thing, but you beat me to it. I totally agree. I see files in the shared network drive all the time that contain sensitive information. I’ve explained to all employees what they’re supposed to be doing with respect to sensitive information. I’m not going to spend a bunch of time monitoring the shared drive. I look at it a few times a year and that’s about it. I don’t think the HR rep’s poker face is anything other than her honest reaction to the information OP gave her. The OP never said they snooped through all the files, just that they realized the files were publicly accessible. Following this philosophy, the problem will never get fixed. No, but I suspect s/he did because of the detail given – disciplinary letters, financial information pertaining to a specific acquisition etc. The detail provided seems to me to be way beyond what can be deduced from a filename. Consider this scenario: “Oh where did I put those Chocolate Teapot Sales numbers” “Oh, let’s try annual_figures.xls” “Hey wait a minute, that’s the figures for Chocolate Teapot Tempering acquisition”. Depends on exactly how the OP found it. My agency used to have a public drive accessible to all employees, a drive for each office accessible to only those assigned to that office, and a private drive for each employee . It was very common for me to go into the public drive to use a form (such as a performance evaluation) , and find out that someone had completed the form and saved it under the original name in the public drive. It was more like finding Joe’s staff assessment report in a stack of blank forms. Do I pretend I didn’t notice and leave it there for other people to find, or shred it or put it on your desk? I called whoever completed the form and told them they had saved it in the wrong place. Uh, you’re way off here. If there is proprietary information laying around where it doesn’t belong, whether in physical or digital form, you do something about it or you notify someone who knows how. This doesn’t even get into issues like inadvertent exports if you have foreign persons on the premises or with access to those servers. I mean holy crap, what a load of terrible advice! You don’t know that it was proprietary information. Proprietary information is a well-defined technical term, to wit information controlled as property. It is quite distinct from *private* information. In any case if it was proprietary information s/he should have said something straight away. If you work for a Rolls Royce dealer and the garage is left unlocked at night, you don’t wait until you resign to mention it. That’s bound to look funny. The tone of the email was “somebody on staff could have read the executive’s email!”. Certainly email folders should be only readable by their owner, BUT ALSO, members of staff should not take that to mean that they can read the executive’s email if it is technically readable by them. All I’m saying is that if you seem to know about the content of files that are on your business’s servers when you had no business “digging around” (his phrase), and you have been doing this for months, the immediate reaction might very well not be “oh thank you so much for bringing this to our attention”. Whether that is fair or not is besides the point. Fundamentally, the key issue here is that s/he sat on this information and only brought it up at an exit interview. This comment made me think that what you are doing wrong is that you are trying to solve the problem for your employee, rather than clearly explaining what the problem is and letting her find a solution on her own, which is typically the best approach. For example, for you it may be irrelevant if she uses her Calendar, her memory, or sticky notes to remind herself of things that need to be done by a certain deadline. But you need her to complete her work and follow the process, so telling her exactly what your expectation is regarding the work that needs to be done, like Alison said, is the right thing to do. However, you should leave out any suggestions to try to solve the problem for her, because it’s irrelevant to accomplish the results you need, and clearly isn’t working with this person. Though the employee isn’t managing to solve the problem. My general policy is that my support staff have free rein on how stuff is done as long as all the needs are getting met, but if they’re not, then they have to do stuff how I want them to. So at this point the employee wouldn’t have a non-calendaring option. Since you don’t sound like you’re in the US, it may not be as simple as just “time to fire her,” but it’s certainly time for a meeting wherein it’s made clear that her performance in some areas is unacceptable, that she’s on an improvement plan, and failure to comply will be documented. fposte, but in my opinion the manager isn’t managing to solve the problem either, by being very clear about what is the expected result (I am under the impression that Alison thought the same thing based on her response, suggesting “being clear about what you need”. In my experience managing people, it’s much more efficient to explain what is the outcome needed, without trying to control how the person will get there. Unless, of course, it’s a problem with lack of training or skill, which would need to be addressed, but it doesn’t seem to be the case here. Sure, the manager needs make it clear that actions are required. But she’s had her chance to create an alternative timekeeping method and failed at it (and if she doesn’t grasp the need for scheduling, then that right there is a reason to move on to somebody else). At this point, when there are orthodox processes available, it’s appropriate and reasonable to tell the employee that she’s expected to use them regardless of her personal feelings. I agree — I’ve handled it that way too when someone’s own methods didn’t work. Frankly, I think that’s far kinder than skipping immediately to the next step, which is not a nice outcome for them at all. Me too. I’m all for people doing things their own way if they work…but if they don’t then I know my way works. I had someone who couldn’t remember deadlines, but was also adamantly opposed to using Outlook (what is up with that particular aversion?) So after being directed to use Outlook, when things were again forgotten now they had two issues. The missed deadline and the disregard of a directive. Yes – that’s how I personally deal with – rather than asking the person to necessarily use the calendar, provide the option, but focus on the outcome when *how* something is accomplished is not important. Obviously kinder to offer a suggestion than to proceed to firing a person, but the manager already tried that. I never liked to be told to perform a task in a specific way when my own system would work as well. Most people value having control over how they do their job (autonomy) so I wouldn’t remove it until I made sure I was making it 100% clear what my expectations are regarding “do what by when” and things still weren’t getting done. I have to reply to me rather than reply to AB because there isn’t a reply button under his/her post. I understand the desire to preserve as much autonomy as possible. How much autonomy would you grant in the following situation? I tend to document processes, because many of them only occur every couple months and it is easy to forget something. My experience has been that those who have not been able to follow the documentation have not been able to develop their own successful processes either, so I would end up picking up the pieces. I now tend to require people to follow the documented process and encourage them to make suggestions on how to improve it. I would also tend to require them to make changes in the same document, rather than allow them to pick their own program or start a new file. Do you see opportunities for autonomy that I have missed? thanks Lily and everyone for your feedback. Lily your suggestions make sense and are sort of the approach i’ve been taking, but I just need to follow up better and set deadlines for change. (I need to improve my own skills at this!). All the best everyone (great forum)! I had an advisor for a college organization spend about 30 minutes one day trying to convince that I had to use to-do lists, as that was the absolute best way to get things done. (Never mind that when I make them I’ll never look at them after I’m done, and had a different system – setting alarms on my phone and email – she said I was “just making excuses not to use them.”) This, by the way, was pre-emptive on her part, not in response to a problem. Sigh. My team was down a person for a long time due to a FMLA leave that ended up not coming back, so we were a three-person team instead of a four-person team for over six months (three of leave + about 3 to find a replacement). We got a bonus at the end of the year, which obviously wasn’t that employee’s salary divided by three, but it was substantial enough to leave a great impression on everyone involved. I’m in a similar situation at work: two of our team have resigned since August, leaving us with four people. I have suggested to my boss that he divide the pay of the two who quit among the rest of us. I have not convinced him yet. #6 – A few years back, I worked at a company where a new employee “demonstrated” to the CEO how unsecure the system was by printing out the CEO’s files. The CEO fired him on the spot. oh no, that’s horrible. Was the new employee trying to be helpful or an arrogant boaster who want to prove how smart he was? He leaned more towards the latter. It looks like the CEO was the one that wanted to show off. I think for #7 you really have two options. The first has been pretty thoroughly covered already. The second is to restructure her position so that she’s focusing primarily on those things she’s good at. If she’s a crappy fit as an admin but good at other things, you can make those other things her job and get a detail-oriented admin. She would have to be *awesome* at those other things to merit that kind of rearrangement, and there would have to be enough of them to justify creating a staff position for them, especially when that’s increasing your overall staff by a third. *And* not liking processes is going to be a negative in *any* job, so you might go through all that trouble and still end up letting her go. But, one of the benefits of owning a small business is that you have that level of control. If she’s so fantastic at the things she does well that you don’t want to have to fire her over the admin stuff, then she should be doing the things she does well. Thank you for your comments. I have thought that if I was running a much bigger company I might consider doing that, however I so many things in business require organisation skills and good communication is really important in a small business when people have to work in close quarters. I think I’ll end up letter her go, i need to make it clearer first of what i expect of her and give her the opportunity to reach the bar (whereas before my feedback may not have been so constructive). thansk again, wish me luck! #2. I don’t really see the issue with two salaries. If I work two jobs at two different places each job pays me after all. If there is significant synergy* between the two roles I can see prorating it though. I just don’t see the difference between taking on a second job and taking on an additional shift. The reason you don’t see it of course is because most companies just assume you can do the jobs of two or three without the additional compensation. It doesn’t make the idea unreasonable however. 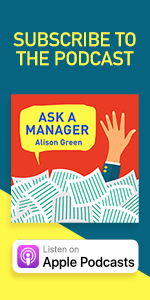 But what about when a manager picks up the work – temporarily – of a subordinate? If the manager covers for the subordinate when the subordinate is on vacation, does that mean the manager should be paid extra? I’ve never heard of that happening! And not to be all one-percenty, but when you already make over a million dollars a year, should you be paid even more just because one of your subordinates quits and you have to pick up the slack for a few weeks? Of course not, I think we all assume we’ll have to pick up the slack every now and then for vacation/PTO/sick coverage just as people will pick up our slack when we’re out. I don’t know about the two salary thing, but for something longer term like say your HR person quits and you ask the purchasing manager to do payroll until you hire a new HR – and that takes six months. Then certainly it’s assuming a different job for a long period of time and a mid year bonus in that case would certainly be appropriate. So would a temporary pay hike, of whatever degree, but those get tricky because even though everyone knows it’s temporary it’s still awkward to kick it back down once it’s over. A bonus is cleaner. I’m trying to figure that same thing out. I’M backfilling my department heads spot for about 6 myths. Doesn’ t justify a raise but a fair gap exists salary wise. Likely 30k or so. So will try negotiating a discretionary bonus if my performance is reasonable. This is a great example of what I was thinking about. If you want me to do eight hours worth of analysis work and eight hours turning wrenches on an airplane, you better pay me for both. On other thing is there’s nothing wrong with temporary promotions with a temporary pay raise. They do it all the time here when managers take vacation and want to give up and coming folks some practice. Once the term is over, they go back to their normal duties and normal pay. If you’re talking short term stuff that everyone takes turns covering then that seems like it would be part of the normal job. The examples I’m thinking of are when someone leaves permanently and all of their work is handed off to you when you already have a full plate. #2. Pure Boss if you can command 2 salaries. Is this also sound advice for applicants from outside the organization when applying for a position in a place they don’t currently live? Obviously, the last part about wanting to retain the applicant doesn’t apply, but a mention (again, obviously just one) of personal reasons might put your decision to apply somewhere far away in context. Or maybe you’d rather leave them with the impression that it’s the opportunity that’s drawing you, and not mention personal reasons unless they ask? Yes, definitely mention it. Many employers are hesitant to have someone relocate for a job, fearing that they won’t adjust to the new location or that it won’t work out and the person will be stranded in a city they only moved to for the job. First of all, thanks Alison for answering my question. For # 3, it did occur to me that I could use the situation as a reason to follow up, and I wrote to the interviwers to ask about their timeline and so on. This was 2 days ago, and I still didnt hear back from either of them.